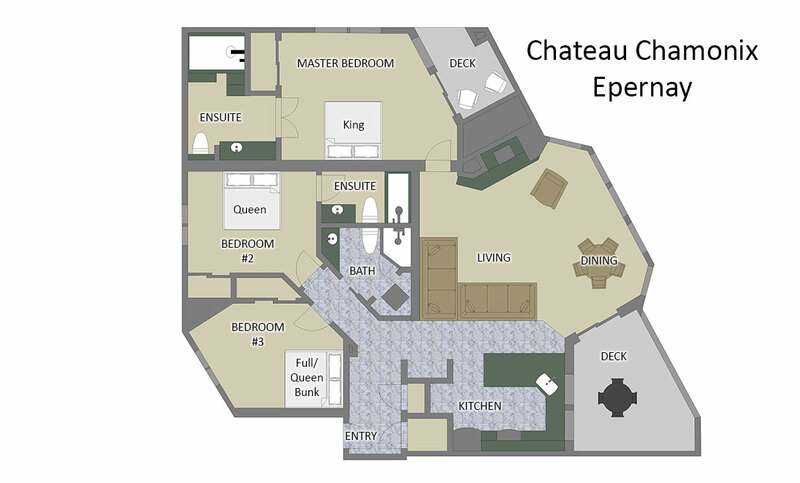 The slopeside Epernay Residence at Chateau Chamonix is located on the edge of Stampede trail at the base of the Steamboat Ski area and close to the mountain village. This cozy residence is perfect for smaller groups and families with up to 8 people. In a tribute to Steamboat’s famous fluffy powder snow the Epernay residence is named for the premier Champagne producing region of France. You are located in the perfect place to enjoy all the good things in life with this ski in/ ski out residence. The living room has large windows that directly overlook the ski slopes. This expansive room is a splendid place to relax in front of the gas fireplace after a day’s adventures in the outdoors. With the open layout, the kitchen is located just off the living room and separated by a breakfast counter that seats 4. While cooking in the fully equipped kitchen you can still enjoy watching skiers and boarders come down slopes from the kitchen windows and out through the living room. This is a great place to entertain with a dining table that seats six and additional seats at the breakfast counter, along with a covered balcony overlooking the ski slopes for outdoor living and dining in summer. Unwinding after a busy day in Steamboat is easy in the Master Bedroom with King bed. The Master Bath features a double vanity, a large Jacuzzi tub and steam shower and luxury toiletries included. The second bedroom has a Queen bed with ensuite bathroom and the third bedroom is great for another couple or children with a bed offering a Twin bed over a Full. This bedroom uses the bathroom just across the hall. Access to the residence is easy with elevators serving all floors. 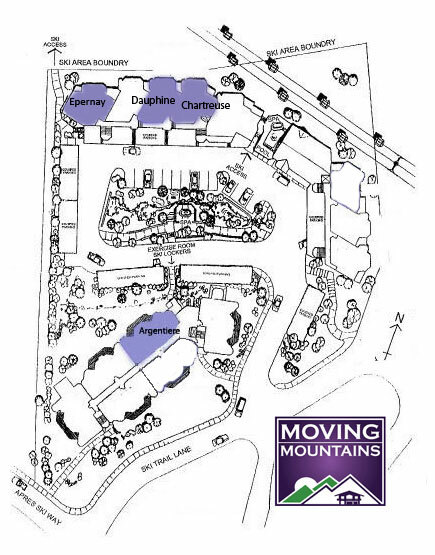 Chateau Chamonix also offers a slopeside ski valet, ski locker room and fitness room, two hot tubs and a heated indoor/outdoor pool. A communal gas barbeque offers the opportunity to grill out. Proximity to mountain base and location are hard to beat. Condo was very clean and Moving Mountains is a dream to work with.